Praised as "superb in their powerful and dynamic rendition" for their outstanding performance, the Hector Del Curto Tango Quintet has been reviving and extending the rich tradition of Argentinean Tango. 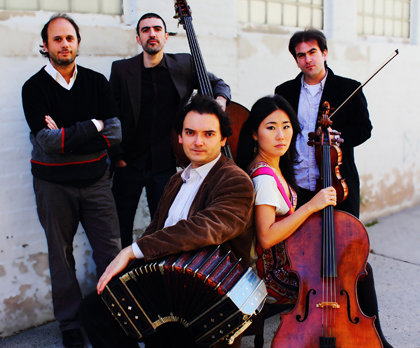 Formed in 2003 by master bandoneon player Héctor Del Curto, the ensemble has been bringing riveting performances to numerous festivals, concert halls and shows including Lincoln Center, Hobby Center for the Performing Arts, Richard B. Fisher Center for the Performing Arts at Bard College, Eastman School of Music, Bay Chambers Concerts, National Folk Festival, Levitt Pavilion for the Performing Arts, Fiesta Iberoamericano de las Artes in Puerto Rico, Festival Internacional da Safona and Copa Fest in Brazil among many others. The ensemble collaborated with prestigious guest artists like Pablo Ziegler and Paquito D´Rivera. The quintet is featured on Hector Del Curto's latest album Eternal Piazzolla and performed at the sold out CD release concert at Le Poisson Rouge in New York City. The ensemble's performance and recording was featured on BBC News which was broadcasted nationally and internationally and on Public Radio International's The World. 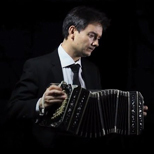 Praised by The New York Times as a "splendid player," Argentinean bandoneonist Héctor Del Curto's career, spanning for more than twenty–five years, has encompassed the traditional Tango, New Tango, Jazz, Classical and World music. 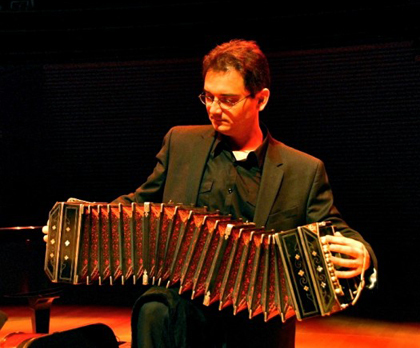 As one of the most sought–after bandoneonist, he has performed with luminaries across many musical genres including the Tango legends, Astor Piazzolla and Osvaldo Pugliese, pianist Pablo Ziegler, latin jazz giant Paquito D'Rivera, jazz violinst Regina Carter, saxophonist Joe Lovano, violinist Cho–Liang Lin and appeared with prestigious orchestras such as Metropolitan Opera Orchestra, National Symphony Orchestra, Orpheus Chamber Orchestra, Rochester Philharmonic Orchestra, Mobile Symphony and Buenos Aires Symphony Orchestra. Born into a family of bandoneon players, Mr. Del Curto was introduced to the world of Tango and bandoneon by his grandfather, Héctor Cristobal. By the age of 17, he had won the title "Best Bandoneon Player Under 25" in Argentina, and was invited to join the orchestra of the legendary Osvaldo Pugliese, the "Last Giant of Tango." In 1999, Mr. Del Curto received the Golden Note Award from the Italian–American Network in recognition of his artistic achievements. As a music director, he directed the spectacular show Forever Tango on Broadway and founded the Eternal Tango Orchestra, a ten piece ensemble. 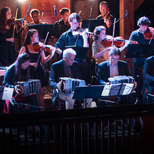 Since the Lincoln Center début in 2003, the Eternal Tango Orchestra (now the Hector Del Curto Tango Orchestra) returned to Lincoln Center for three more engagements and performed at other various venues including the Skirball Center for Performing Arts. A musician who is dedicated to the education, outreach and preservation of tango music, Mr. Del Curto founded the Stowe Tango Music Festival, the premier tango music festival in the United States, noted both for its unique series of performances and its high level of musical training. As the festival's Artistic Director, he directs the Stowe Tango Music Festival Orchestra, a 20 plus piece tango orchestra comprised of an extraordinary group of selected students from all over the globe and world-class artists including guest tango legends from Argentina. Mr. Del Curto recently produced and released his second album Eternal Piazzolla featuring his quintet with a sold out CD release concert at Le Poisson Rouge in New York City. He was featured along with his first CD Eternal Tango on BBC News which was broadcasted nationally and internationally and on Public Radio International's The World. He appears in numerous recordings with artists such as Osvaldo Pugliese and Astor Piazzolla on Finally Together (Lucho), Pablo Ziegler on the albums Asphalto, Quintet for the New Tango (BMG), and Tango & All That Jazz, Paquito D'Rivera on Funk Tango, Jazz Clazz and Panamericana Suite Tito Puente and Eddie Palmieri on Masterpiece, Plácido Domingo's Encanto del Mar (Sony Classical), Erwin Schrott on Rojotango (Sony Classical), Denyce Graves' The Lost Days (BMG), Absolute Ensemble on Bach Reinvented (Sony Classical), Fernando Otero on Plan, Vital and Pagina de Buenos Aires, Ricardo Arjona's Quién Dijo Ayer and Santo Pecado (Sony International), and Shakira's Laundry Service. Originally from Montevideo, Uruguay, pianist and composer Gustavo Casenave is considered by the Uruguayan press as "one of the best pianists of our country" (Diario El Pais– Uruguay). An active performer in the jazz world and the contemporary classical scene, as well as being the one of the most saught after Tango composer, pianist and educator in the US. He moved to New York City in 1997, after graduating with honors from the Berklee College of Music where he was selected among the ten best composers. 2012 Latin Grammy Award Nominee, for his track "Miñoqui" from the album "Tango Casenave" (Watchcraft Music), with special guest Eddie Gomez, Casenave has been performing at numerous venues worldwide such as: Blue Note, Walt Disney Concert Hall, Harris Theatre, NY City Center, Symphony Space, Lincoln Center and Kodak Theatre among many others. He has worked as musical director, pianist, composer and producer of multiple International Tango shows, including: Tango Fire, Forever Tango, Eternal Tango Orchestra, Painting Tango, Tango Casenave, Tango Buenos Aires, Tanguardia, New York Tango Trio, Tango Noir, Avantango and New York - Buenos Aires Connection. With more than 20 years of teaching experience, he is a current guest artist for master classes and lectures at The Juilliard School. He also taught at: NYU, Yale University, University of Florida, University of Uruguay, Waldorf Schule and Klagenfurt Music Conservatory (Austria) and directed the Jazz Department at the Harbor Conservatory for the Performing Arts. In 2012, he was invited to appear on Uruguay's most prestigious music series: "Los Grandes Musicos del Uruguay", with a sold out performance at Teatro Solis. He was Bette Midler's Musical Director for 2 years, and worked also as her accompanist and private teacher. He was commissioned to do an arrangement of his original compositions, for "The twelve cellists of the Berlin Philharmonic", and co–wrote, arranged and recorded the Tango "Volvere" with actor Robert Duvall, which was premiered at Kennedy Center in Washington D.C. He performed and recorded with several Grammy and Oscar award winners, and many internationally acclaimed artists such as: Yo–Yo Ma, Mark Egan, Jane Ira Bloom, Manolo Badrena, John Benitez, Miguel Zenon, Avishai Cohen, Bette Midler, Neil Sedaca, Robert Duvall, Charlie Persip and Curtis Lundy. Hailed by La Nacion for his "beautiful sound and exquisite musicality," Argentinean violinist Sami Merdinian has received worldwide recognition for his outstanding performances as a soloist and chamber musician. Sami has appeared with the Montevideo Philharmonic, the Argentinean National Symphony, the Charlemagne Orchestre, the Symphony Pro Musica, the Gangneung Philharmonic, the Philharmonia of the Nations at the Concertgebouw in Amsterdam and the Buenos Aires Philharmonic at Teatro Colon. Mr. Merdinian has performed in the prestigious Concerti di Mezzogiorno at Spoleto Festival in Italy, The Perlman Chamber Music Program, I Palpiti Festival, Green Mountains Music Festival in South Korea, Al Bustan Festival in Lebanon, and has performed in venues such as Carnegie Hall, Lincoln Center, Izumi Hall, Seoul Arts Center, among others. Mr. Merdinian has won several international competitions including the Gold Medal in the XII International Young Solo Instrumentalists Competition in Argentina and the New Talent Competition in Slovakia organized by the European Radio. He has also received the Rising Star Award by Tiffany & Co., was named Outstanding Artist of the Year by the Argentinean Press, and has been featured on WQXR in New York, "Spiegenzall" live from the Concertgebouw, Argentinean Classical National Station and the BBC. 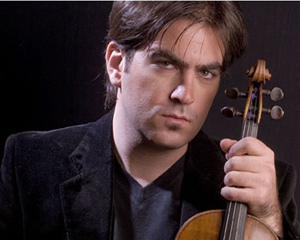 Also highly sought–after as a tango violinist, Mr. Merdinian is a member of Hector Del Curto's quintet since 2006. Together, they have toured throughout the US, Mexico and South America, and recorded 2 albums with guest pianist Pablo Ziegler. Mr. Merdinian received a Latin Grammy Nomination for Best Tango Album for Cuartetango's "Masters of the Bandoneon" recording, including collaborations with artists such as Leopoldo Federico, Nestor Marconi, Lisandro Androver, Hector Del Curto, and poet Horacio Ferrer. Mr. Merdinian was recently the solo violinist of Opera Hispanica's production of Astor Piazzolla's Opera "María de Buenos Aires" which The New York Times called "Stimulating as a Cup of Espresso". As a violinist of string quintet Sybarite5, Mr. Merdinian has recently performed in venues such as Carnegie Hall, Zankel Hall, Library of Congress, Aspen Music Festival, UC San Diego, Sun Valley Center for the Arts, Chautauqua Institution, Tuckamore Chamber Music Festival, Time Warner Center and Tishman Auditorium. The Quintet's debut EP disc Disturb the Silence, featuring music by Radiohead and Piazzolla, plus two original works written for Sybarite5, quickly reached the top ten on Billboard's Classical Crossover chart. Mr. Merdinian's discography includes recordings for Universal Records, Canary Classics, CAG Records and Green Parrot Records. While at The Juilliard School and Yale University, Mr. Merdinian was a pupil of Dorothy Delay, Naoko Tanaka and Peter Oundjian. He is the co–founder and Artist Director of the New Docta Intenational Music Festival in Cordoba, Argentina. 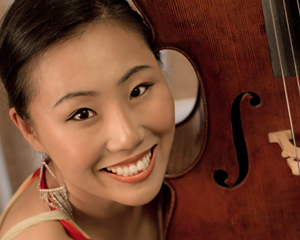 Cellist, Jisoo Ok is a multi–faceted musician who has distinguished herself as an interpreter of classical, tango, jazz and contemporary music. She has closely collaborated with distinguished musicians such as pianist Pablo Ziegler, bandoneonist Héctor Del Curto and clarinetist, Paquito D’Rivera and performed with jazz violinist Regina Carter, bassist Ron Carter and vibraphonist Stefon Harris. Jisoo performed worldwide in venues and festivals such as Lincoln Center, Carnegie Hall, Kennedy Center, Birdland, La Jolla Music Society’s SummerFest, Laguna Beach Music Festival, the Chautauqua Institute, Mondavi Center for the Performing Arts, Miami International Piano Festival, Concerti di Mezzogiorno at Spoleto Festival “Festival dei Due Mondi” in Italy, Copa Fest in Brazil, Houston International Festival, SummerStage at Central Park among others. Her recording appearance includes two critically acclaimed albums, Eternal Tango and Eternal Piazzolla, which she co–produced with her husband, Hector Del Curto and Rojo Tango with Erwin Schrott released in 2011 on Sony Classical. She appears as a guest artist on Horizon: Piano and Chamber works by Gareth Farr with pianist Henry Wong Doe on Trust Record, on Django Festival Allstars with Dorado Schmitt and on Introducing Letizia Gambi with Lenny White, Chick Corea, Ron Carter, Gil Goldstein and Patrice Rushen. Jisoo Ok is the founder and executive director of Stowe Tango Music Festival, the premier tango music festival in the United States. 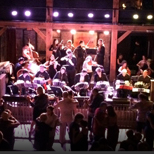 Every August, the festival brings together world-class artists and talented students to present a unique series of performances throughout the Stowe, Vermont region. Born in Seoul, Korea but grew up in New Zealand, Jisoo began cello studies at age eleven to escape from studying violin. Her early teachers included James Tennant and Natalia Pavlutskaya. She has participated in numerous Master Classes with Janos Starker, Bernard Greenhouse, Paul Katz, Laurence Lesser and Anner Bylsma. She received her Bachelor’s and Master’s degrees from The Juilliard School as a recipient of the Irene Diamond Graduate Fellowship and the Heward Memorial Scholarship, studying with Bonnie Hampton and Fred Sherry and she studied chamber music with Itzhak Perlman and Robert Mann. Originally from Córdoba, Argentina, Pedro Giraudo moved to New York City in 1996. 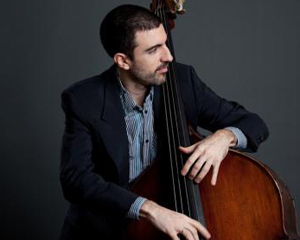 A highly versatile bassist, he ia very much in–demand performing in a wide variety of musical projects, both his own and as a member of several prominent ensembles, ranging from tango to jazz. Pedro Giraudo has collaborated with Grammy award winner Pablo Ziegler, 9 time Grammy award winner Paquito D'Rivera, Latin American icon Ruben Blades, and Dizzy Gillespie's protégé William Cepeda, as well as 'Tango meets Jazz' guests: Branford Marsalis, Kenny Garret, Regina Carter, Nestor Torres, Miguel Zenon among many others. 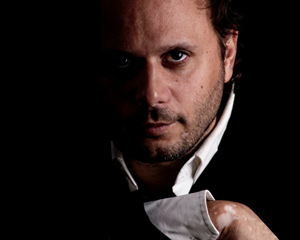 Pedro Giraudo has also been the musical director of Mariela Franganillo Company's "Tango Connection" and "Tango Recuerdo" and performed with U.S.'s most prominent tango ensembles including Hector Del Curto's Eternal Tango, Fernando Otero's X–Tango and Daniel Binelli's 'Tango Metropolis'. As a composer and arranger, Giraudo leads his 13–piece ensemble, the Pedro Giraudo Jazz Orchestra, and has been hailed by critics as one of the most creative and daring bandleaders on the scene today. The band has performed regularly in the most prestigious jazz clubs in the New York City area, including the Jazz Standard, Birdland, The Jazz Gallery, Blue Note, Joe's Pub, as well as abroad. Pedro Giraudo has also conducted the world renown WDR Big Band and the Cologne Contemporary Jazz Orchestra. His discography includes award-winning album 'Córdoba' (Zoho Music 2011), 'El Viaje', 'Desconsuelo', 'Mr Vivo' and 'Destiny of Flowers'. 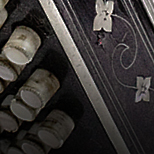 He has played bass on dozens of recordings for leading labels such as Sony, Warner, Nonesuch, Naxos and Harmonia Mundi, as well as for independent projects, and in movies including Oliver Stone's 'Wall Street II'. In 2008, Giraudo was commissioned to compose a piece by the Jazz Gallery in New York and again and in 2010, he was commissioned by the JazzReach initiative to compose a new work for their Big Drum⁄Small World main-stage program.